This clicker is a great choice for a look that is distinctive without being gaudy. Made of hand polished implant grade titanium, and available in six colors. Available in sizes 18g, 16g and 14g with 8mm, 10mm, and 12mm diameters. Due to the anodization process, the colors can vary slightly batch to batch. 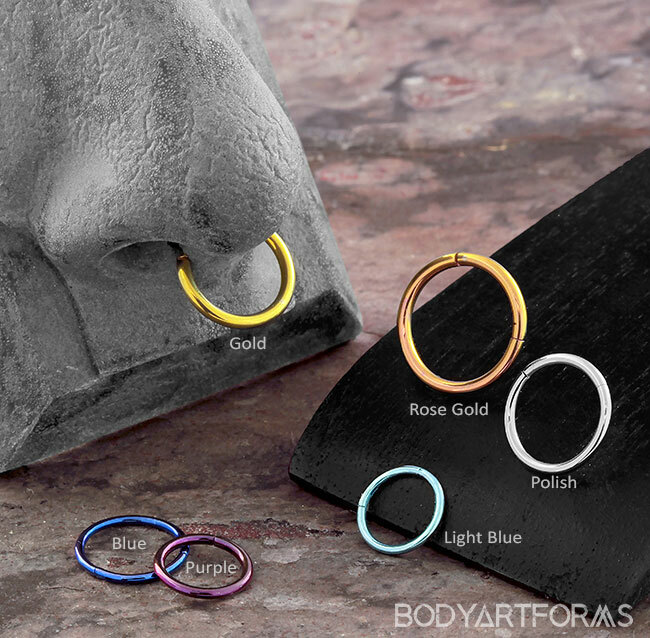 More septum clickers are available here.